A lot of her critics are saying, ‘Bringing in Corbyn won’t work, he’s got nothing to gain by agreeing anything with her, he’ll let the Tories own their plan and they can own the fallout while they continue to fall apart.’ This is most likely true, but it’s not the real plan. May knows full well that Corbyn is unlikely to agree anything with her. If he does, she’ll take it, but the real plan is to scare her own MPs. That’s not to say the plan will work. But that is what the plan is: do anything to get her WA through. If she doesn’t get an agreement with Corbyn this time, she’ll try again later. The point of the extensions for her is also the WA. For a lot of Remainers, a long delay is great because it brings a second (rigged) referendum back into play. But that’s not May’s aim. Her aim is still the WA. That’s why she is going to make the ‘guillotine’ a part of the delay. This means that the delay can be immediately stopped once her WA is through. So she’s saying to her MPs again, this will drag on and on, and I will keep delaying and delaying for eternity, until you bring it to an immediate halt by agreeing my WA. That’s why there is no point thinking she’s finally going to see sense and agree No Deal. 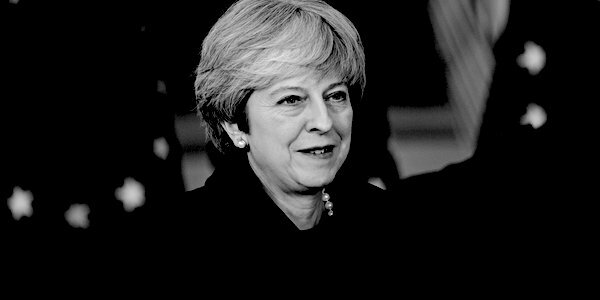 The majority of her Cabinet wanted her to go for No Deal, and she refused. The WA is all she will countenance. So to get a real Brexit, she has to be brought down as soon as possible, before she agrees a long delay. Some of her defenders are saying that the real point of bringing Corbyn in is that it’s a trap for him, to expose the Labour Party’s hypocrisy and deliberate vagueness on Brexit. This is nonsense. It may go badly for Corbyn, that is true, although most likely he’ll just bluff it out saying that nothing satisfactory to Labour could be agreed. But the idea that the real reason the Conservative hierarchy is doing this to damage Labour is absurd. It’s in fact incredibly damaging for the Conservatives, with the members in uproar and quitting in droves, while it makes Labour look more electable. The fear of Corbyn and his pack of communists was the only thing keeping the Tories afloat, so a more disastrous policy for the Conservatives than working with Corbyn and giving him power cannot be imagined. Everything May does now is about the WA. Everything will be sacrificed for that. She’ll burn everything on the ship of state to keep stoking the fires for her WA. Eventually she’ll start burning the hull. It’s not Corbyn we should be comparing to Lenin, it’s May. How did Lenin manage to take over a vast empire with a rag-tag bunch of fanatics and maintain communist rule instead of being quickly deposed? Obviously there were the particular circumstances of that time and place. But mainly it was because he was more ruthless, not just than his enemies, but more ruthless than anyone imagined was possible. Lenin imagined the unimaginable and didn’t fear to enact it. His enemies repeatedly failed to understand how far he was prepared to go to win (and of course Stalin kept this up in spades). His opponents were, in a way, fighting the war in a more restricted mental space than him. As a result, he ran rings around them; they were like two-dimensional Flatlanders dealing with a three-dimensional being. The situation is the same with Theresa May and Olly Robbins. Their opponents imagine that they are fighting a conventional British political war, where fair play and traditional morality and British shame and decency play their usual roles. But they’re not. They’re fighting a dirty Leninist war and will go to any lengths to win, lengths that their opponents cannot even imagine. Just when you think you’ve put them into an unwinnable position, they’ll take nanny hostage, and then slit her throat. This is not conventional warfare. This is a scorched-earth, winner-takes-all battle.